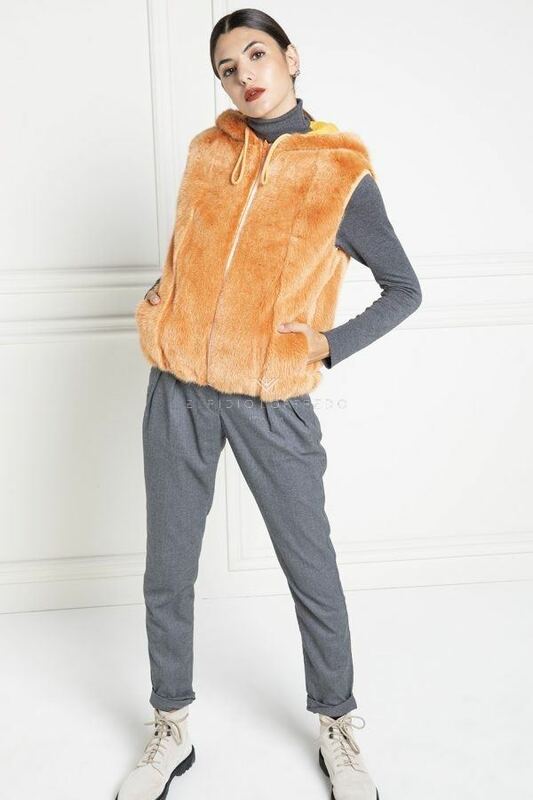 The hooded fur is a must have for those who love to combine fur with a sporty outfit. The hooded fur can be made both in a jacket and coat version. The hooded jacket is much requested by those who prefer a sporty and fashionable outfit, easy to wear even on jeans and sneakers. The hooded coat, instead, is designed for those who are always cold and prefer to cover up well with their fur. Recently, there has been a lot of demand for hooded fox furs, especially hooded vests. 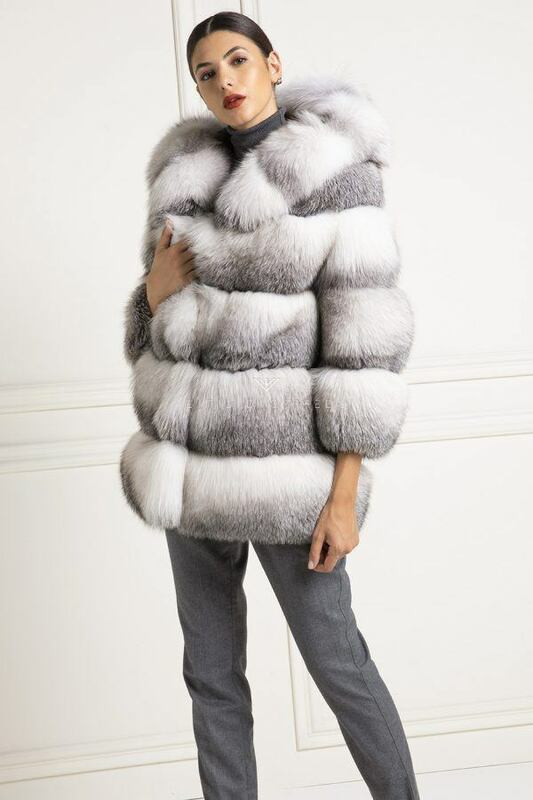 In the early 2000s the production of hooded fur was always based on mixing two different types of fur, in fact almost all the furs were mink, with the hood in fox or in sable. Hooded fur, which to choose? How much does a hooded fur cost? Hooded fur, what color to choose? 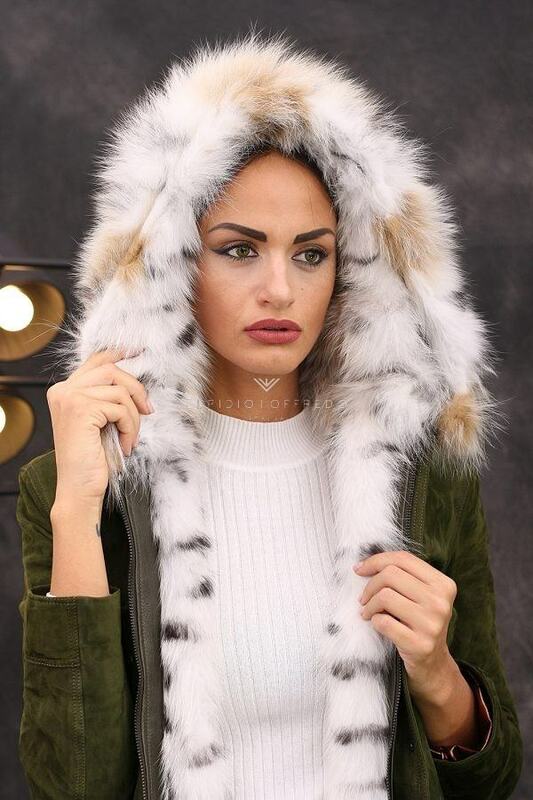 The hooded fox fur is very popular. The most used colors by our customers are natural ones. 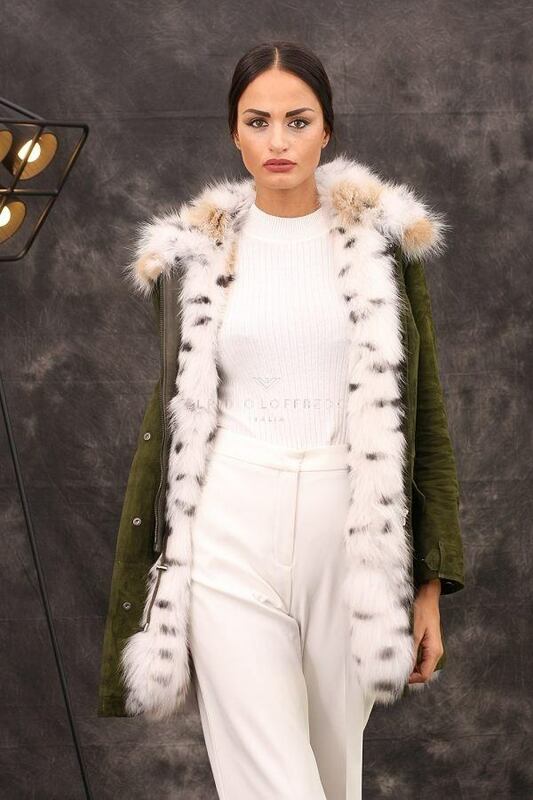 The natural fox fur is absolutely the easiest to combine with your outfit. The black hooded fur is very popular. Very special and not easy to find are the furs with fox hood dyed by mutations, with a very long hair and unobtainable nuances. 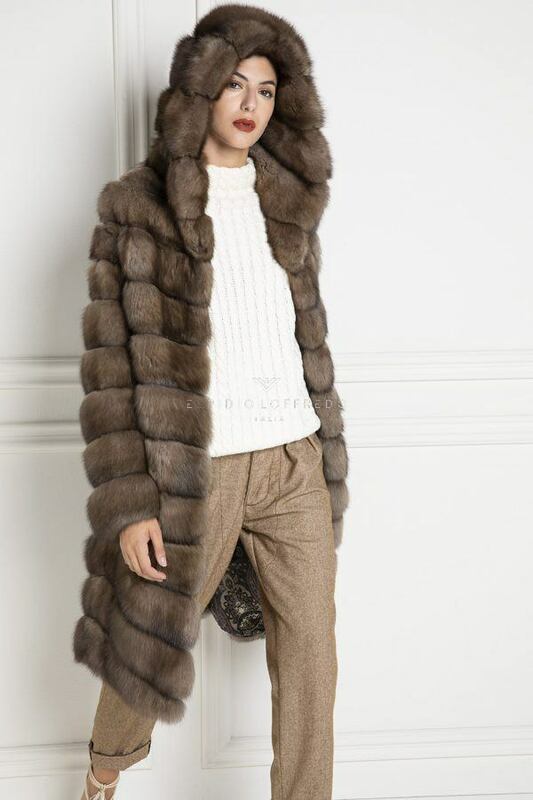 Elpidio Loffredo mink hooded furs are made following a particular production technique, in order to create a very soft and comfortable fur. 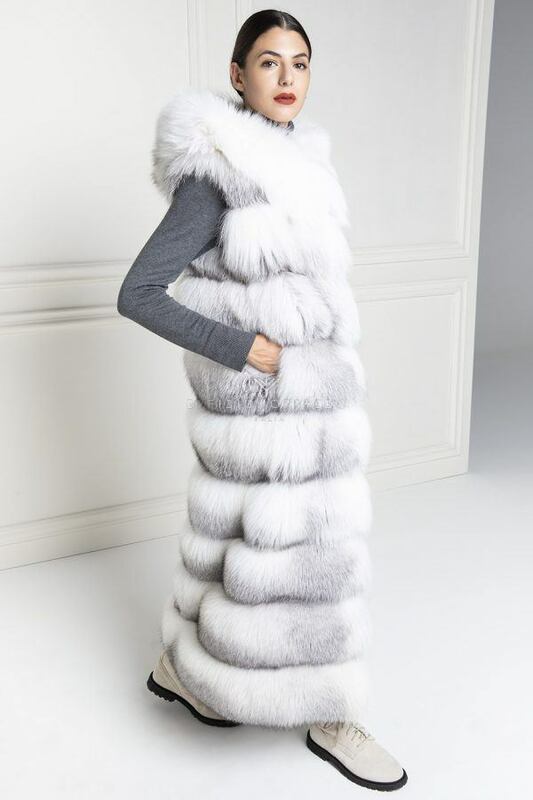 The most requested mink hooded furs by our customers are those in very light and natural colors such as the silver-blue mink or the sapphire mink. Some customers prefer dark colors and therefore the black mink is a must. The hooded chinchilla furs are almost always made with natural colors and worked with very small chinchillas in order to create a very soft and smooth fur. Thanks to some requests from our customers Elpidio Loffredo has added in its collection chinchillas hooded furs in green and toffee colors as well. 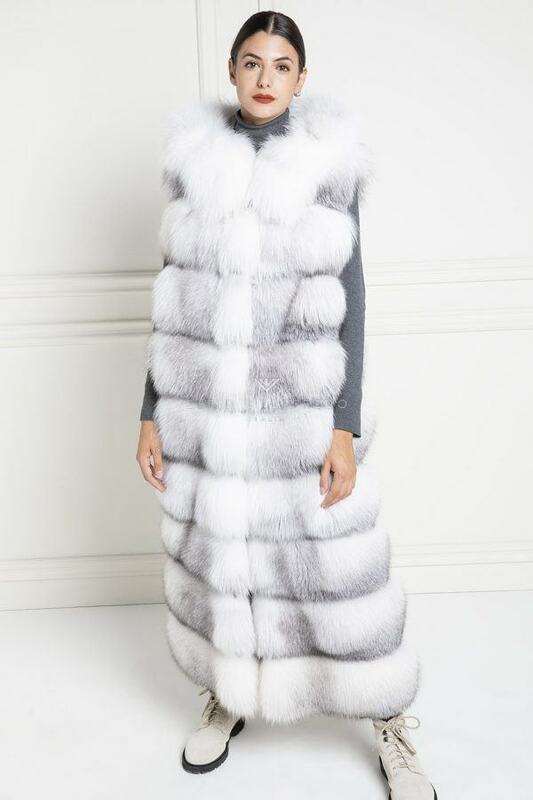 Sable and lynx hooded furs are made exclusively in natural colors. The prices of hooded fur can vary based on various factors, such as the quality of the leather and where the fur is produced. How much does a hooded fur cost? 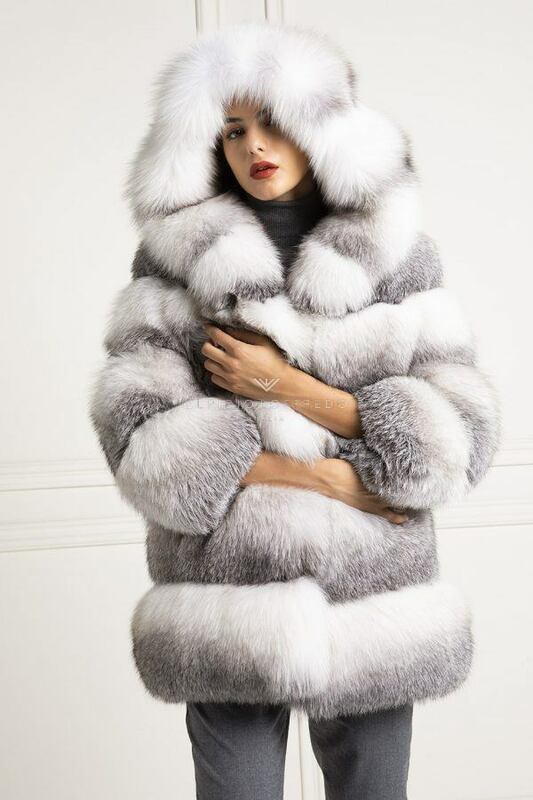 It is a frequent question that our customers look for on google, to actually understand the price of hooded fur. Usually the price of hooded furs is determined mainly by the type of fur used for the creation. Obviously, the type of work carried out and the origin of the leather are also important factors. Customers who looks online are often fooled by low prices and do not pay attention to the quality of the leather and especially to the origin. 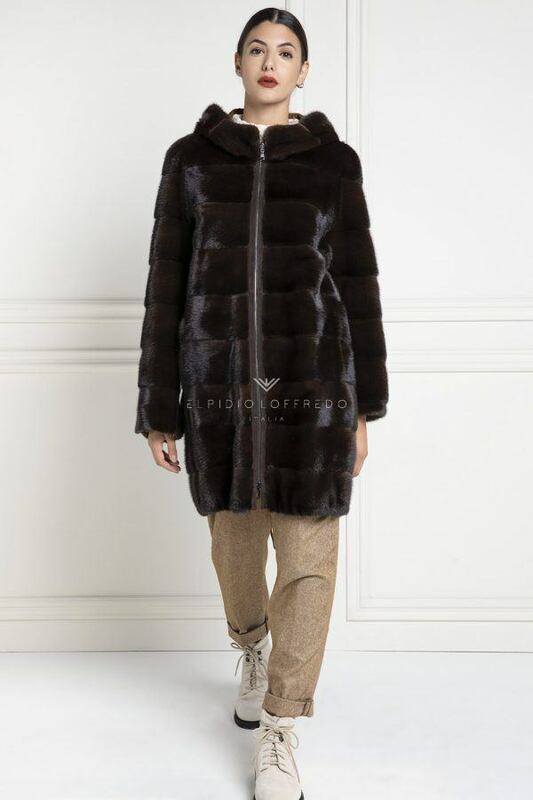 Elpidio Loffredo offers a reasonable price, but a very high quality for his hooded furs. Fur prices always depend on the quantity and the quality of leather, so this means that the price of a mink fur coat will definitely be different from that of a fox fur. Another factor determining the price of a hooded fur is the length. A short fur coat will surely require less leather than a long one.